A group of charming fellows have created something they’re calling “Social Bicycles,” a bike-sharing system that allows you to drop bikes off almost anywhere there is a bike rack, locate them, and access them with an iPhone app. And it’s all outside of the confines of traditional urban bike-sharing systems. While we all know that humans are intrinsically violent and destructive, the lads at Sobi are betting that at least some of them won’t destroy the bikes they borrow. The system uses a lock fastened to the bike’s wheel with a GPS system and transmitter built-in. When the bike is locked, it appears on the SoBi app and when you check it out you’re responsible for it. The average start-up cost for a conventional system is between $3,000 and $4,000 per bicycle. 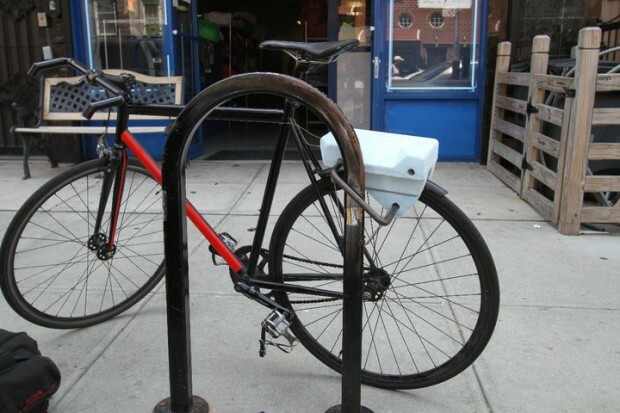 The SoBi lockbox can be produced and sold for around $500 and both the racks and bicycles can be sourced affordably and locally. Now obviously you could run into the problem of someone hogging one particular bike but presumably SoBi users would be a bit more magnanimous than that. They’re trying to win the Pepsi Challenge or something to get $50,000 in seed money so the least you can do is vote for them. A very limited beta should be launching in New York this fall and it will be a fascinating exploration of sharing in a city that usually considers stealing your girlie like it stole your bike the epitome of cooperation.